One of the most interesting combinations of religious & secular art in the cemetery. 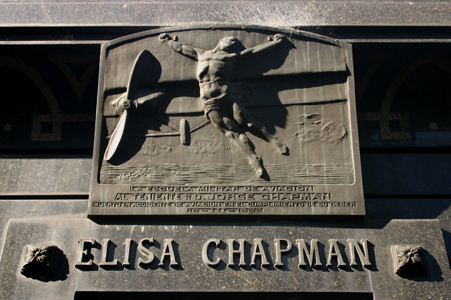 The plaque states that Jorge Chapman died in an aviation accident while on duty, & the image of a man in crucifixion position tied to an airplane’s wing is a stroke of genius. The plaque dates March 19, 1925.